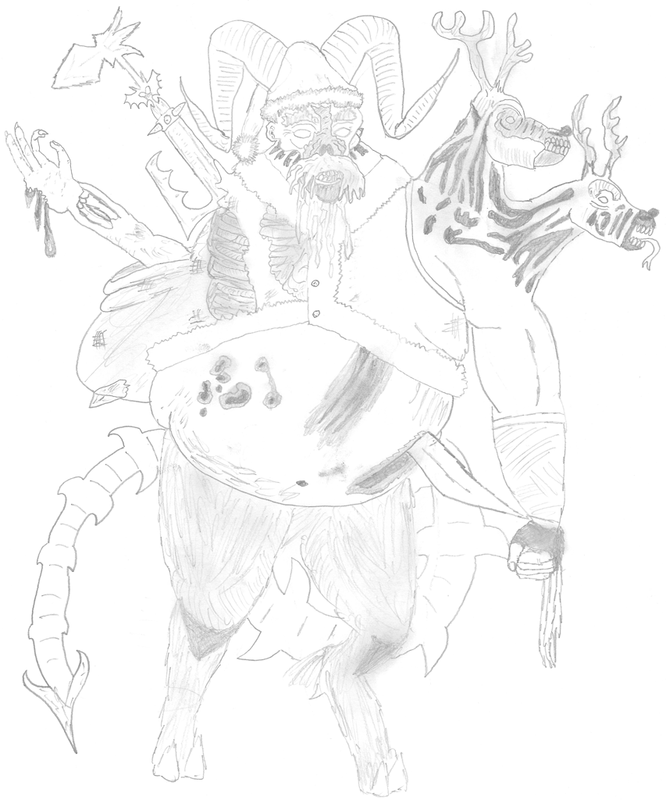 Drawings by a young up and coming artist. Have you been naughty or nice this year? Satan Claws knows and he’s coming to getcha! 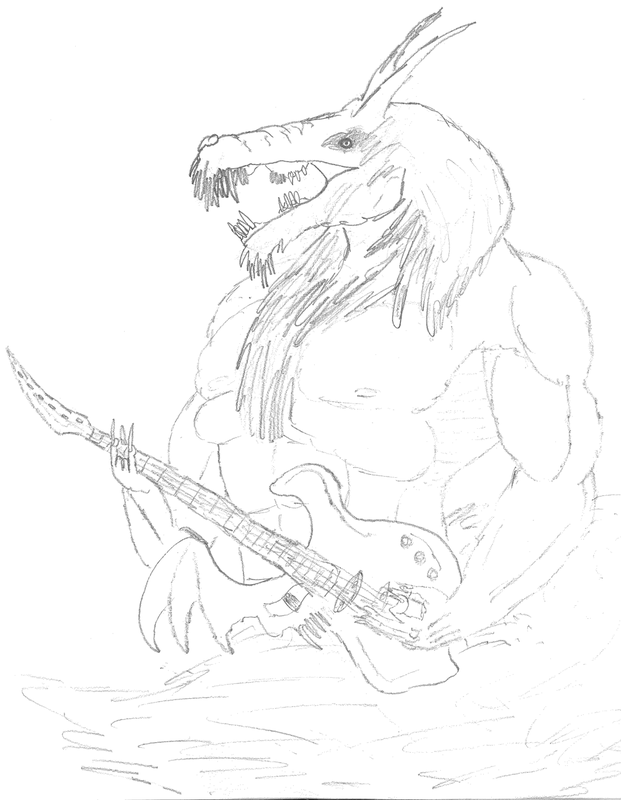 What can I say, Its a Werewolf playing guitar. 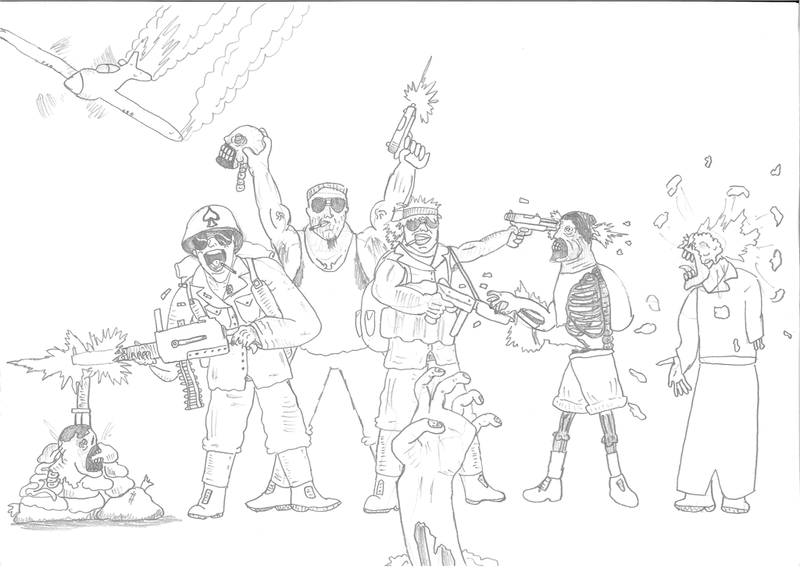 Sort of like ‘School of Rock’ meets ‘Dog Soldiers’.